The West Shore of Lake Tahoe is the area of Lake Tahoe between Tahoe City and Emerald Bay. Spend a day or two on the West Shore and you’ll understand immediately why it’s called the ”Magical West Shore”. Known for its beauty, and outdoor activities, there is so much to see and do on Lake Tahoe’s Magical West Shore. Imagine a time of sleek, varnished wooden boats, of waterskiing over sparkling blue water and sailing on the winds of fresh mountain air. Imagine a time of casual walks along a pine covered path by a shoreline that borders a blue-green lake surrounded by snow capped mountains. This is Lake Tahoe’s unique West shore today. An area of unspoiled natural beauty that provides a vacation lifestyle unmatched anywhere. Visit the West shore today! 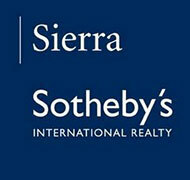 For more information on the West Shore of Lake Tahoe click here.